My sourdough turned out!! From the starter that was born two weeks ago, yesterday we had dough, and today we have bread. The process was stressful because it was my first try and I didn’t want to F it up. But now that I’ve done it, I can’t wait to make another loaf. 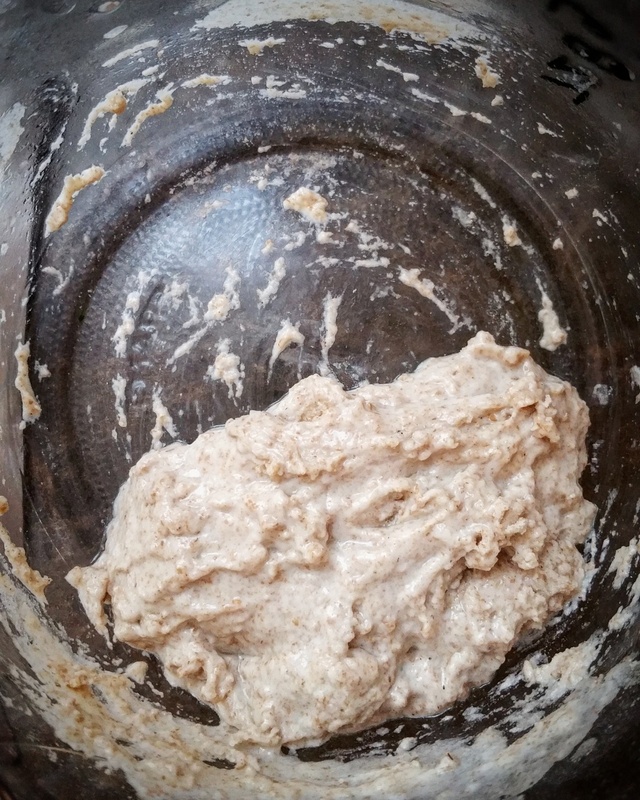 It just takes a little planning, and in my case, a babysitter… I started making the dough when Avery was in daycare in the morning, but by the time I needed to knead she was home and napping. Of course she woke up half way through the kneading process and whined, tugging at my legs, for the last 5 minutes before I could set it aside again. It literally took an entire day, from 9am until 9pm to finish making the dough, even though its just a mix of starter, flour and water. There’s a lot of proofing, folding, waiting, flipping, kneading, and more waiting involved. Then it sat overnight in the fridge for the final proof, and took almost an hour to bake the next morning. It’s a great task for weekends, if only we weren’t away from home on so many of our weekends. I’m loving the flavour of our wild yeast, captured right here in our own home. It’s mildly sour, the crust is crispy, and the crumb inside is buttery soft and airy. Wish the internet had smell-o-vision, because it smells like heaven. 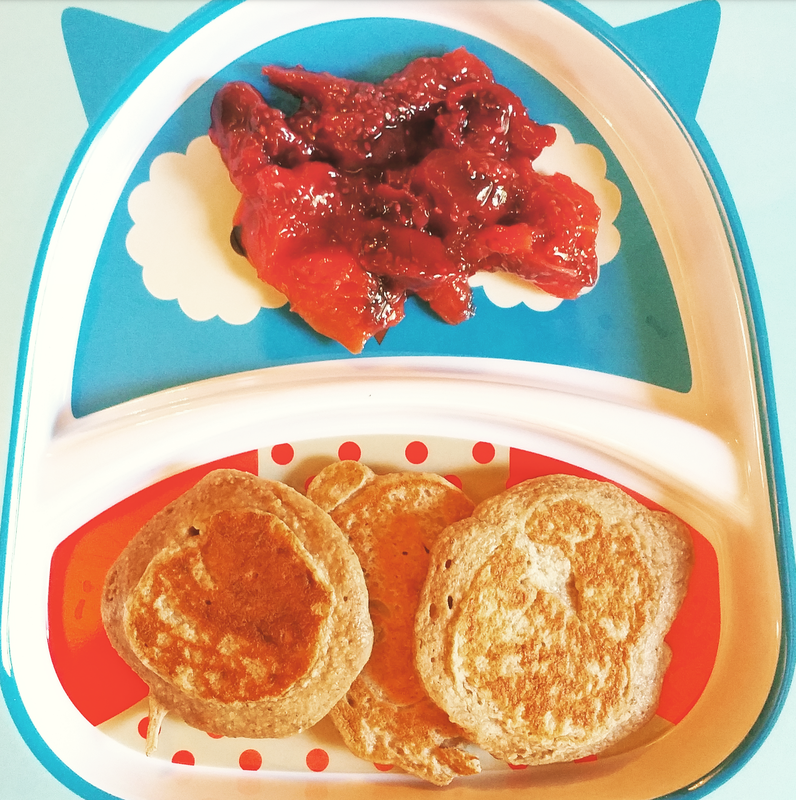 6 Baby-Led Weaning Meal Ideas for CAMPING! We went on our first camping trip with Avery. She turned 10 months old while we were there, and between her crawling everywhere, separation anxiety that has been making bedtime super challenging again, and her dietary needs now that she’s no longer exclusively breastfed, we had our work cut out for us. It was only a 2 night stay, which was ideal to get our feet wet. In this post I’m going to share what we brought for meals. Most of these are links to the original recipe that I snagged off of Pinterest. I also sucked at documenting our food in photos because I needed both hands and all of my attention to get through meal times in the great outdoors. We wanted to bring things that were tasty, easy to pack/transport, and easy to cook/re-heat, of course, but we also wanted at least MOST of our meals to be Avery-friendly so we didn’t have to come up with double the meal ideas. I love cooking, but I hate having to come up with what to cook. We planned ahead for this trip, and it made life easier while balancing cooking over the camp stove with watching an increasingly mobile baby. Avery loves burgers. In fact, ground beef is probably her favourite food in the world. The only problem with grilling burgers like we traditionally would for ourselves is that they get a hard crust on them (a delicious, hard crust). We find that she struggles to chew the crusty deliciousness, and so we either give her the insides of a burger, or we steam them. The hobo burger is essentially steamed in its own juices, and it includes potatoes and whatever else you want to eat in the same steamy pocket of beef juicey goodness. I made the tinfoil packets in advance and threw them on the grill at the campsite. 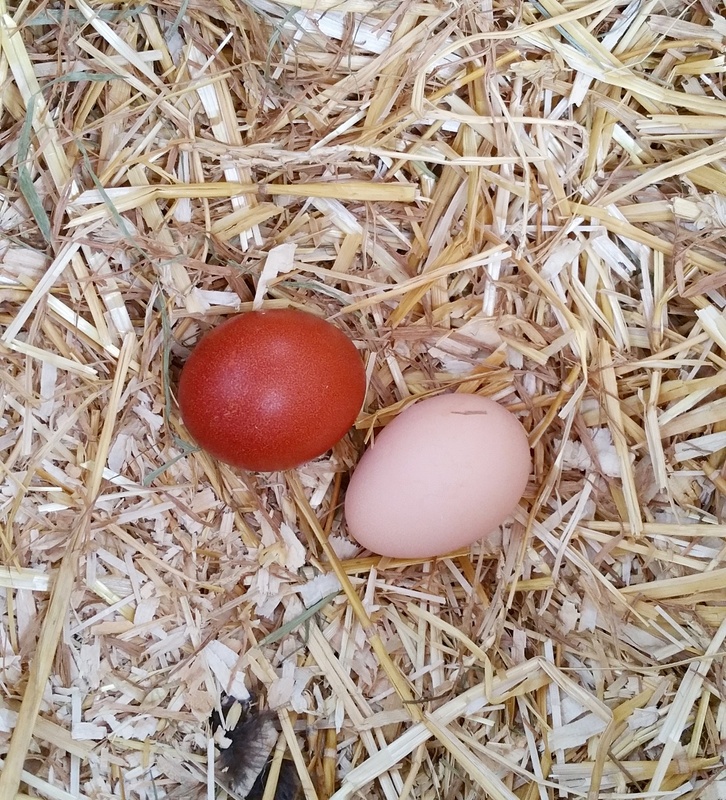 This was a perfect meal for baby-led weaners. The only issue with these is that they take at least half an hour to cook. For this meal we decided not to eat baby-friendly food, because we love a good breakfast sandwich on the weekends and didn’t see why camping should stop us from having that. I pre-cooked bacon, and we cooked eggs on our camp stove and stacked them on some bagels. 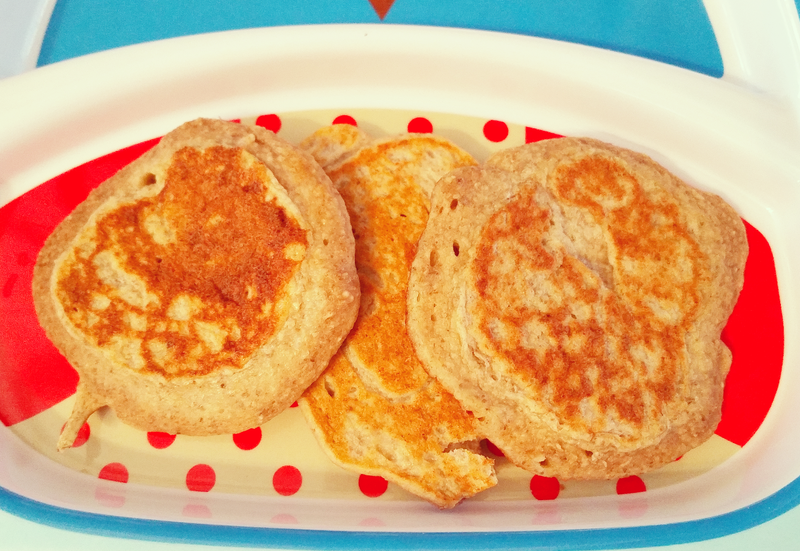 The baby-led-weaning-friendly meal idea for this breakfast was cheerios (soaked for just a minute in almond milk). 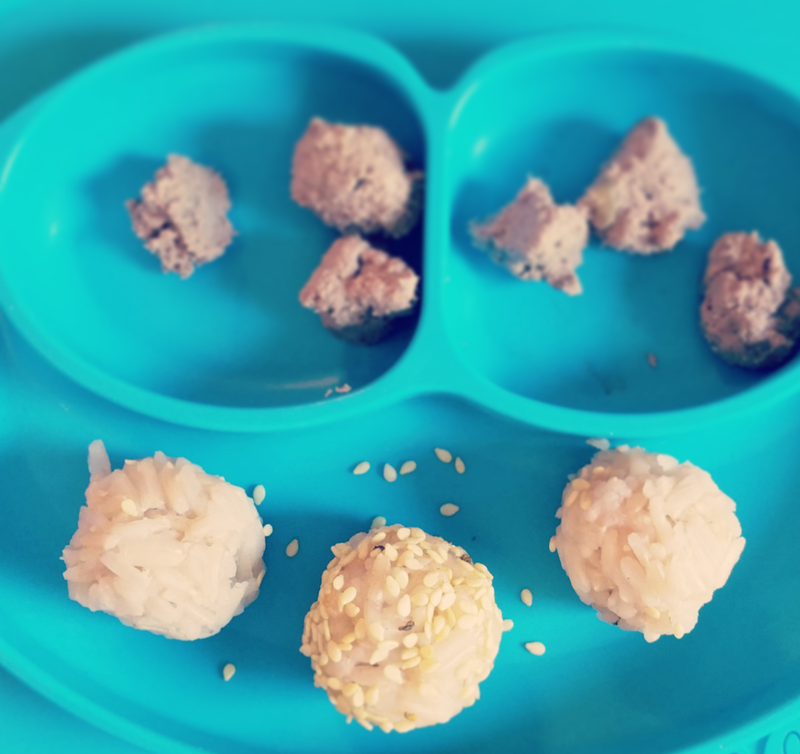 This meal was super easy to pack and super easy for Avery to eat. I remember one of my favourite meals when camping as a kid was mini boxes of cereal. You’d cut the box open, pour in your milk, and eat on the go. Ahh, nostalgia. I pre-made this beauty of a hearty salad and it was delicious, filling, and baby-friendly. I made pulled chicken (instead of the chunks in the original picture here) and brought guacamole as a garnish to add at the time of eating. This was ideal for camping because it didn’t even require heating, but this also made it kind of lame for camping because it wasn’t a special camping meal. Either way, Avery loved it and we’ve been eating the leftovers all week for lunches. I actually took a picture of this meal. 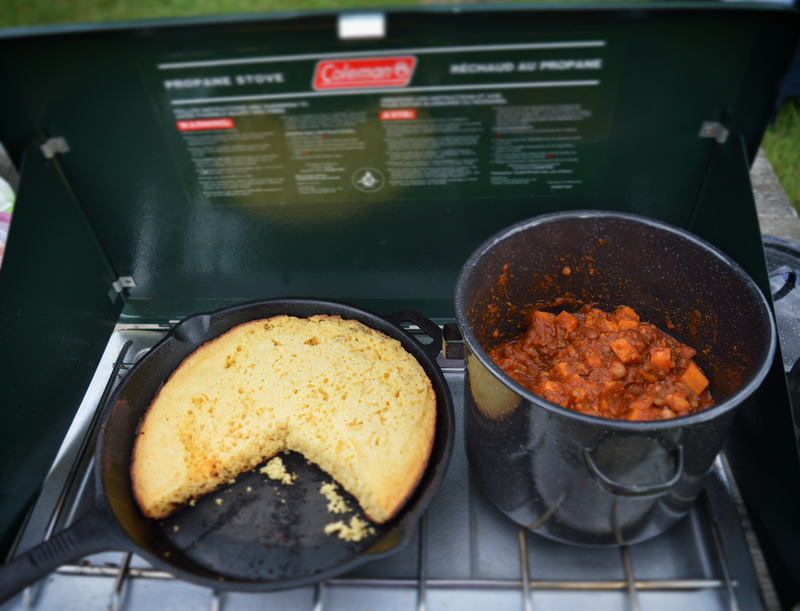 The chili was warm and cozy on a chili evening and only required heating up on the camp stove, and the corn bread was the perfect side and actually enabled me to do a tiny bit of cooking, instead of just reheating. I packed the dry ingredients, mixed, in an oversized Tupperware, and the wet in a smaller container. I used the bigger Tupperware as a mixing bowl to blend the dry with the wet at the campsite, and just poured it into the skillet. You don’t really need a recipe for this, but here’s the pin that inspired me. We made quick oats in our cast iron skillet and added packaged fruit cocktail as a topper. And the adults got copious amounts of maple syrup. 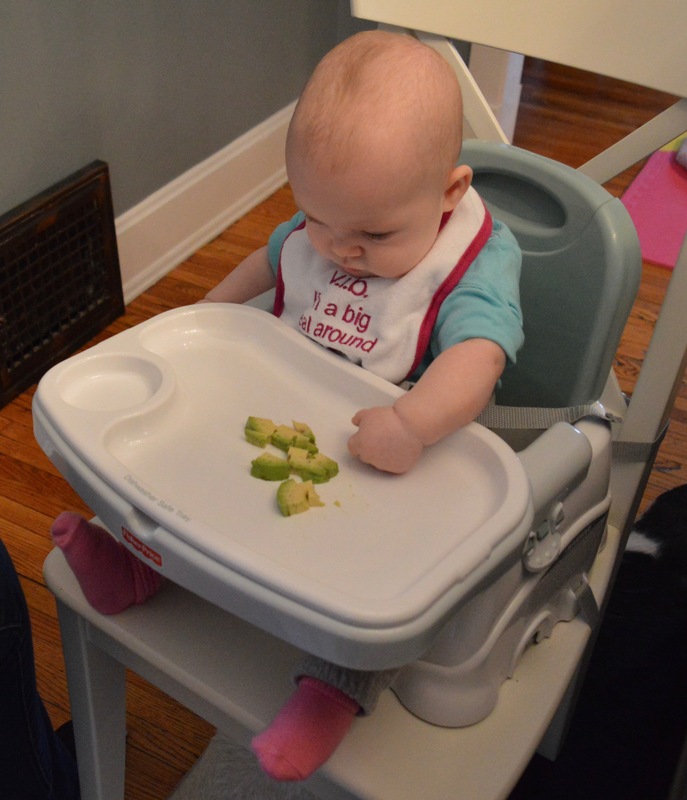 Even at 10 months, Avery is already accustomed to two snacks a day in between her 3 square meals. For snacks, I brought a bunch of bananas, baby puffs, and a little resealable baggy of pre-diced fruit. We also relied heavily on her Klean Kanteen to keep her hydrated because she was often too distracted to nurse. We ended up having an amazing time camping with our 10 month old. If you’re contemplating going camping with a baby but haven’t gotten up the nerve, JUST DO IT. It’s really not that hard (I was expecting much worse) and you make memories that last a lifetime (maybe not for the baby, yet, but for you!). I’ll probably write more about our experience, but if you want to know more, I’m happy to answer questions in the comments! I’m strictly following the CMPA diet for Avery’s dairy and soy allergy, and I’ve now thrown eggs into the do-not-eat list. Desserts are my new obsession because I want what I can’t have (i.e., pastries, chocolate things…). I dug up this old recipe for vegan chocolate cupcakes that my wife made for me when we first started dating, about 9 years ago. I was a vegan back then… typical granola lesbian. Unfortunately I don’t have the original source of this recipe, as its been written out on an index card in our recipe box for that long. But the buttercream frosting is a recipe I freshly googled and can credit, because the frosting recipe that was OK for my vegan self 9 years ago had soybean oil in it (shortening and margerine). Not OK for my breastfeeding, allergic baby. These cupcakes are better than non-vegan cupcakes. That’s my opinion, and the only way for you to know for sure is to try them yourself. They are moist, chocolatey, light, fluffy, perfection. Add coconut cream mixture and whip on high for 2-3 minutes or until it gets glossy. Store the iced cupcakes in the fridge or the icing will get a bit melty and flat. The icing recipe makes way more than you NEED, but if you want to do a fancy piping job that sits high and pretty on top of your cupcake, you might need it all. Definitely try these if you are vegan (or following a milk/soy/egg-free diet for another reason, like me). I also recommend trying it if you’re not vegan, but you would have to source ingredients you don’t normally use (like vegan butter), so it may not be the most practical recipe for those who can eat dairy. If you try these cupcakes, let me know what you think! I was going to save this for the 6 month update coming later this week, but we’ve been having so much fun with food that it deserved it’s own post. 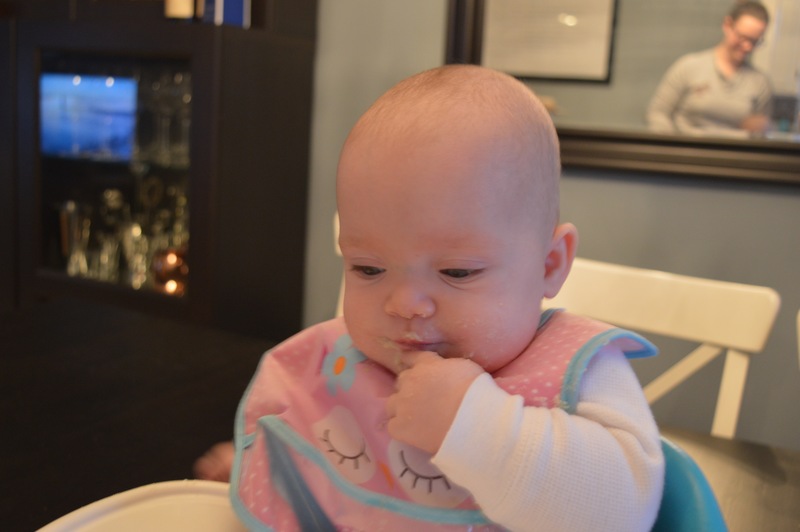 Avery’s first solid food experience was on Feb 8th (5 1/2 months old). On a whim when she got home from work one evening, my wife decided to try feeding her some brown rice cereal we had in the cupboard. She LOVED it and immediately took to eating off the spoon and swallowing. I was fully expecting this attempt to involve pushing the food around in her mouth and spitting it out, but nope, she devoured it. She’s also had bananas mixed with breastmilk, and prunes, which were suuuper messy but apparently delicious. 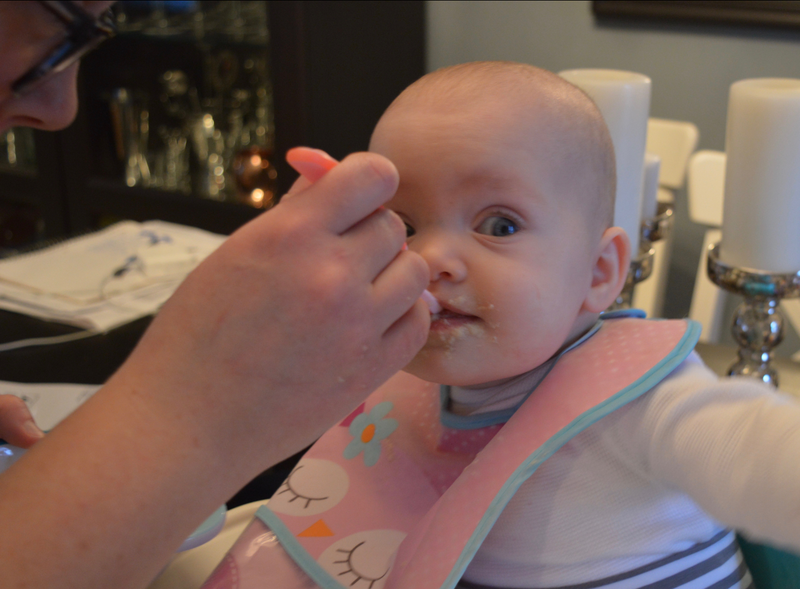 Since those purées, we’ve also started a combination of spoon-feeding and baby-led feeding. We can’t seem to time it right (or have the right food on the menu) for her to sit with us while we eat and try what we’re eating (we had the timing right with crêpes with dulce De leche, but that felt a little too decadent for her first baby-led weaning experience…). We do want her to be able to feel the food in her hands and decide if/how much she wants to shove in her mouth. I’ve let her gnaw on a banana that I was eating and we gave her some avacado to chew on. She successfully mashed the food with her gums (and two teeth!) and seemed to enjoy making a supreme mess. 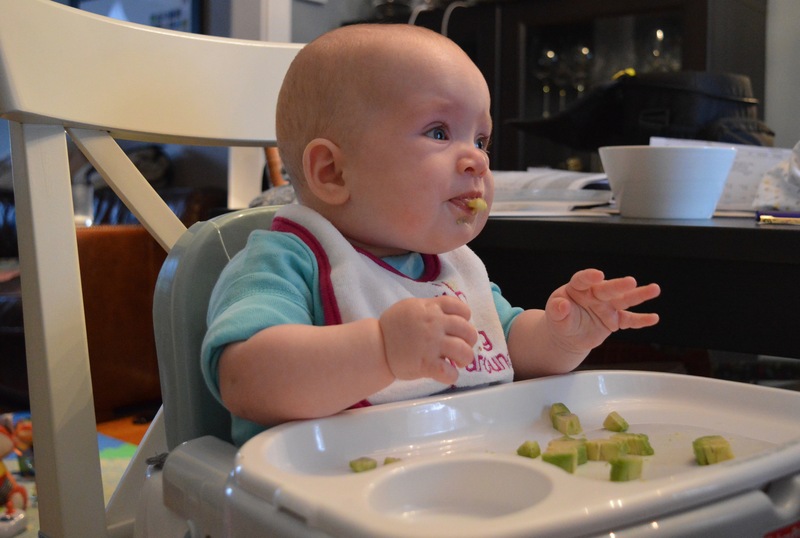 Although her face in the avocado picture looks a little grossed out, she really did LOVE the avocado. She polished off everything you see on her tray here. While it has been sooo much fun watching her learn new tastes and textures and learn to swallow, I just want to point out that it can be incredibly scary, too. Everytime she coughs while eating, we panic. With food covered hands we grab her and attempt to rip her from the booster seat to give her the Heimlich maneuver (so thankful we both took that infant and child first aid course when I was 9 months pregnant). But every time she has been totally fine. I think coughing, or “horking” as it can be more accurately described, is all a part of learning to eat and learning to swallow something lumpier than breast milk. So we’ve created a food monster. I can’t eat a piece of fruit without her grabbing at it and crying when I don’t give it to her. I hope she continues to love her journey into the world of food! It’s so much fun for all three of us!